I am often asked about my favorite books connected with programming, computers and of course science. I really love these questions as I prefer to read not only fiction literature, but also something helpful and exciting at the same time. Recently I was so interested in this question that I have decided to write an article about the description of my favorite 100 books on programming, software, science, physics, mathematics and computers topics. But 100 books with a full description in an article it’s not an easy task, so I’ve decided to break the whole topic into several publications. Today I’m going to give you a recommendation about my top five books and as a bonus I’ll give you my additional feedback. This book is recommended for anyone interested in computers. This stunning book consists of 66 short sketches on the most important and interesting computer topics such as compression, Turing machines, formal grammar, non-computable function, and neural networks. The book is written using simple language and it’s mostly doesn’t contain mathematics. I can call It my favorite book. This book teaches you about how to think and solve synchronization problems using multithreaded method. I highly recommend it, especially if you are self-taught. It leads the reader step by step through a series of classic synchronization problems. It is very interesting to solve these problems, and I would recommend this book to anyone since I first met with her. The classic book on programming. John Bentley knows how to write clearly and enthusiastically about algorithms. These books are eternal, and they teach any reader about how to understand the issues, solve them piece by piece and effectively implement solutions. You'll be able to have an interview at Google, if you read these two books. The Little Schemer gives a lot of knowledge about LISP with a really fun approach. This book is a dialog between you and the author of hundreds of small software combinations, which teaches readers to think recursively among other things described in the book. This book will expand your mind as it’s one of the most impressive programming books ever written. The Elements of Style book is not all about design or programming, but rather about the ability to write. If you want to be successful as a programmer, you need to communicate so that others would understand, and therefore writing skills are essential. This book consists of 100 pages and can be read in one evening. 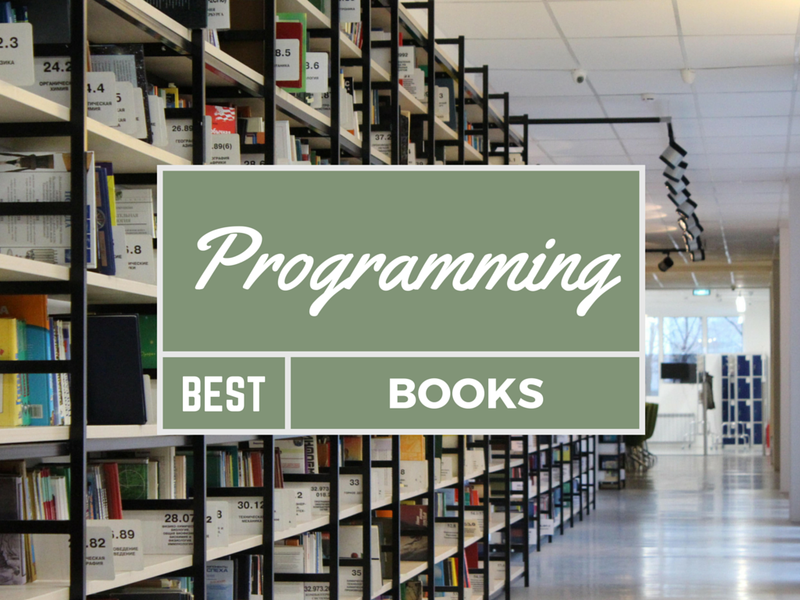 The Elements of Programming Style is a classic book on programming by Kernighan, and the whole book is very much influenced by "The Elements of Style". This is an old book, but despite this fact it’s very applicable today. Let your data form up the structure of application». And as I have promised by favorite 6th book on programming. This book teaches you how to quickly get results from the command line in Perl. Quick work with the command line will save you thousands of hours throughout your career. Once you learn one-liner's, you will begin to solve small problems instantly. I've seen the developers who spend hours on tasks that can be done in 20 seconds using one-liner's. So I urge you: do not be such developers! I hope you like this list of books and I ask you to share yours as well. See you in my next series of articles. This article is written by AngularTeam company – trusted web applications developers from Belarus, Minsk. Trusted software solutions for your business growth.